Senior Principal Systems Engineer, Red Hat, Inc.
Brian J. Atkisson is a Senior Principal Systems Engineer and the technical lead on the Red Hat IT Identity and Access Management team. He has 18 years of experience as a Systems Administrator and Systems Engineer, focusing on identity management, virtualization, systems integration, and automation solutions. He is a Red Hat Certified Architect and Engineer, in addition to his academic background in Biochemistry, Microbiology and Philosophy. 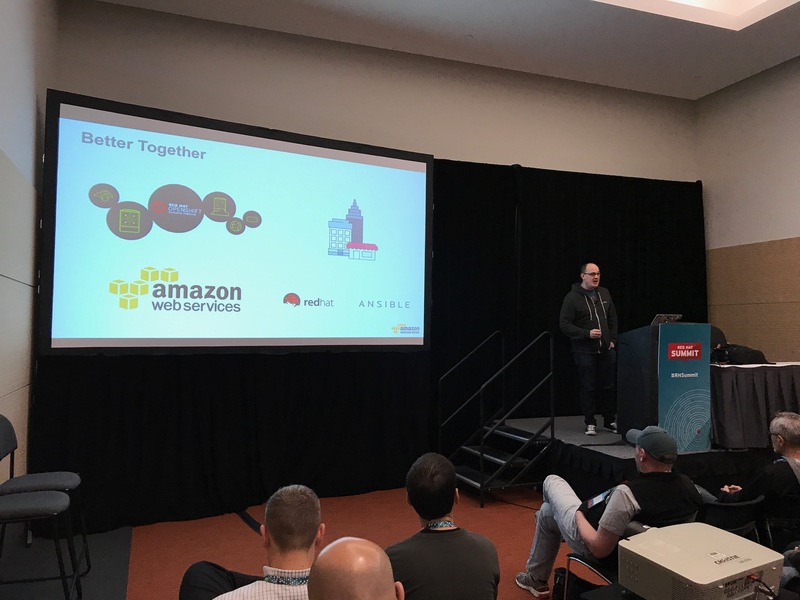 Mandus Momberg, AWS Partner Solutions Architect, presented mechanisms to integrate OpenShift with AWS native features. 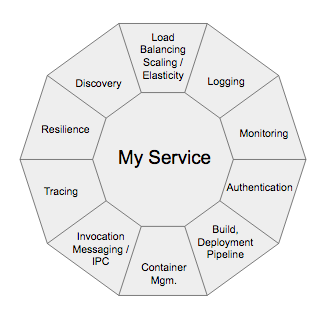 Many of these concepts are covered in the Red Hat reference architecture for deploying OpenShift Container Platform 3.5 on AWS. 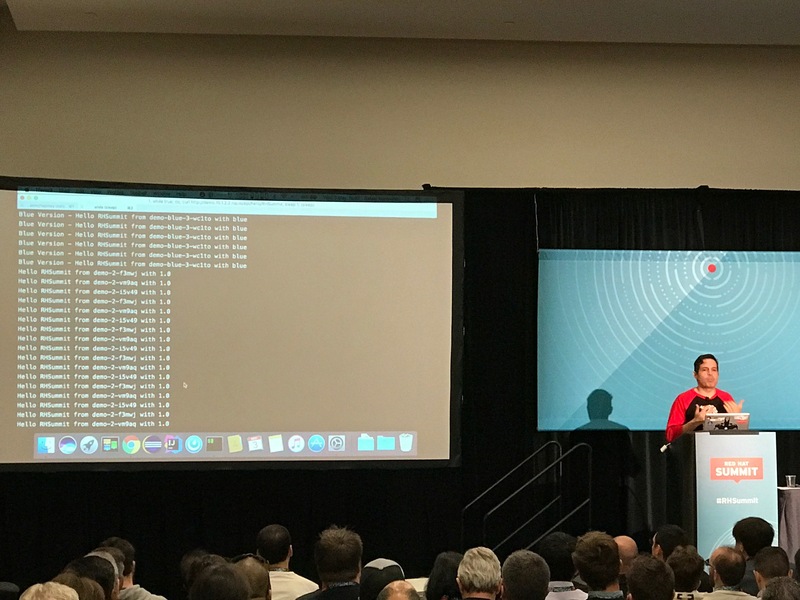 Rafael Benevides, Director of Developer Experience, at Red Hat spoke on rapidly deploying software on OpenShift with zero downtime. Throwing software over to an operations team to deploy during a scheduled maintenance window is a thing of the past. Businesses simply can no longer afford scheduled downtime. Applications need to be developed such that small, frequent updates can be released continuously via containers. Rafael shows us how to solve this problem with OpenShift. Today’s announcement of Red Hat OpenShift.io was followed by a full day of developer toolset Summit sessions. 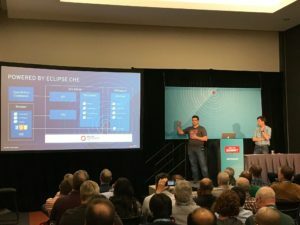 These were presented by the OpenShift.io product development team and covered some truly amazing OpenShift.io features. While there are too many features to cover in a single blog post, these were my top 7 items. 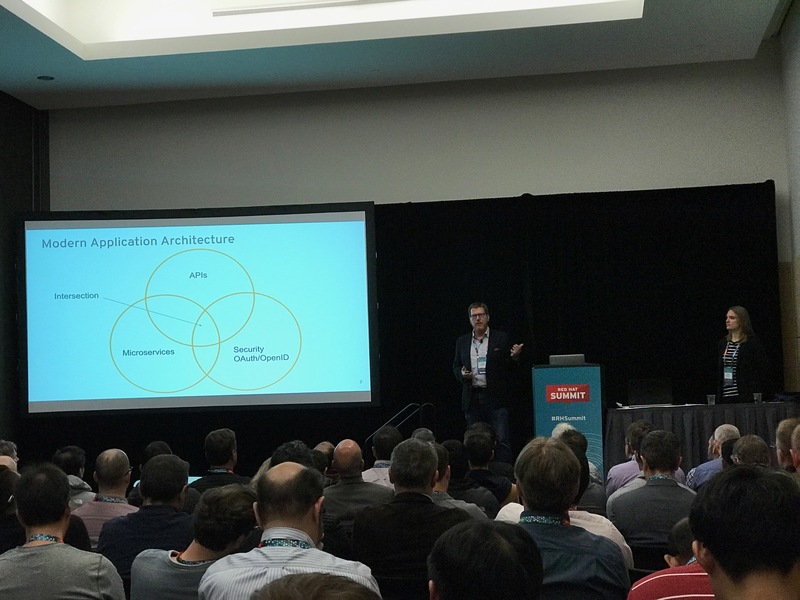 How Red Hat re-designed its Single Sign On (SSO) architecture, and why. Red Hat, Inc. recently released the Red Hat SSO product, which is an enterprise application designed to provide federated authentication for web and mobile applications. In the SAML world, RH SSO is known as an Identity Provider (IdP), meaning its role in life is to authenticate and authorize users for use in a federated identity management system. For example, it can be used to authenticate internal users against a corporate LDAP instance such that they can then access the corporate Google Docs domain. Red Hat IT recently re-implemented our customer-facing authentication system, building the platform on Red Hat SSO. This system serves all Red Hat properties, including www.redhat.com and access.redhat.com — our previous IdP was a custom-built IdP using the JBoss EAP PicketLink framework. While this worked for the original SAML use-case, our development teams were seeking an easier integration experience and support for OAuth and OpenID Connect protocols. Red Hat SSO comes out of the box with full SAML 2.0, OAuth 2.0 and OpenID Connect support. Re-implementing the IdP from the ground-up gave us a chance to re-architect the solution, making the system much more performant and resilient. While outages were never really acceptable in the past, our customers now expect 24/7 uptime. This is especially true with Red Hat’s increased product suite, including hosted offerings such as OpenShift Online.